Each year, HIFF invites leading voices from the creative and critical industries to serve on our Narrative and Documentary Juries. After watching the films in the corresponding feature and short categories, these jury members will select the top films in each section; winners will be announced at the Awards Ceremony on Monday, October 9.
Review the films screening in the Narrative Feature, Documentary Feature, Narrative Short, and Documentary Short categories at HIFF25. We are pleased to welcome the following jurors to HIFF25! 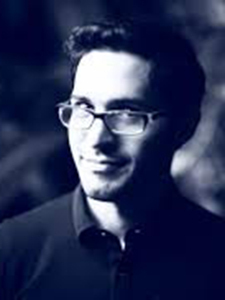 Eric Kohn is the deputy editor and chief critic for IndieWire, where he has worked for over a decade. His work has also appeared in The New York Times and several other publications. He is the editor of Harmony Korine: Interviews (2014) and the 2017 chairman of the New York Film Critics Circle; he teaches undergraduate film criticism at NYU; and he co-hosts the weekly podcast Screen Talk with Anne Thompson. He currently resides in Queens with his wife, two cats and a flat screen TV. 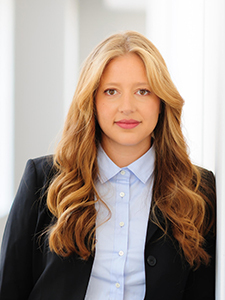 Daniela Taplin Lundberg is founder of the recently launched Stay Gold Features, a New York-based finance and production company. She has produced over 25 features, including the recent Sundance hit PATTI CAKE$, Cary Fukunaga’s African child soldier film BEASTS OF NO NATION, Michael Showalter’s HELLO, MY NAME IS DORIS, starring Sally Field, and Lisa Cholodenko’s THE KIDS ARE ALL RIGHT. Lundberg is a member of AMPAS and YPO and sits on the board of the Signature Theater in New York City. She is a graduate of Princeton University and lives in Westport, CT, with her husband Ted and her three children, Rosie, Bea and Walt. 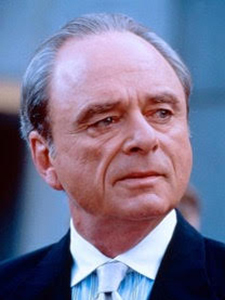 Harris Yulin’s movies waiting for release, or as is said, “in post-production,” are WANDERLAND (HIFF25), ALL SQUARE and SOUNDER. Those fortunate enough to gain release include NORMAN, CANDY MOUNTAIN, END OF THE ROAD, SCARFACE, CLEAR AND PRESENT DANGER, TRAINING DAY, GAME 6, A SHORT HISTORY OF DECAY, STUART SAVES HIS FAMILY (with now Senator Al Franken—soon to be the Democratic candidate), 75 DEGREES IN JULY, MULTIPLICITY, etc., etc. In addition to movies, he has appeared in numerous TV series, including WIOU in the early 90s, and most recently in the Netflix series The Unbreakable Kimmy Schmidt and Ozark. Yulin recently appeared on stage in Eugene O’Neill’s Long Day’s Journey Into Night at Chicago’s Court Theatre. As director, his production of Horton Foote’s The Trip To Bountiful won four Lortel awards, and was given an extended run at the Signature Theatre in New York. Yulin has also taught at the Juilliard School for a number of years. 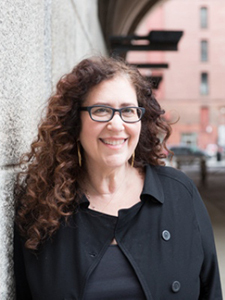 Julie Goldman founded Motto Pictures in 2009. She is an Oscar nominated, Emmy Award-winning and Peabody Award-winning producer and executive producer of documentary feature films. Julie produced LIFE, ANIMATED and executive produced WEINER, both of which premiered and won awards at Sundance. 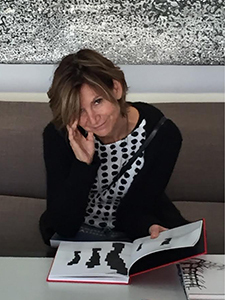 In 2016, Julie also produced and executive produced features including: THE MUSIC OF STRANGERS, INDIAN POINT, SOLITARY, ENLIGHTEN US, SOUTHWEST OF SALEM and CHICKEN PEOPLE. Previously, she executive produced BEST OF ENEMIES and several Emmy-nominated films: 31/2 MINUTES, THE KILL TEAM, ART AND CRAFT and 1971. Julie produced GIDEON’S ARMY, MANHUNT, GOD LOVES UGANDA and BUCK. Born and raised in NYC, Toni Ross attended Wesleyan University, where she studied fine arts, graduating with a BA in Film Studies. Later, she worked for several production designers, including Philip Rosenberg and Mel Bourne. Ross helped to establish the Wesleyan Cinema Archives, where she remains on the Board of Trustees. She was a founder of HIFF, as well as Founding Chair for five years. In her artistic practice, Toni Ross has developed a sculptural language focused on the architectural and cubic aspects of mass, volume and interior space. She has examined form through an evolving visual lexicon that addresses relationships between shape and surface, balance and instability, and elements of constraint, expressionism and transience. In new works, Ross explores structure in large-scale, site-specific installa- tions that engage and transform the environment. The first film that Roger Ross Williams directed, MUSIC BY PRUDENCE, won the 2010 Academy Award® for documentary short subject. He is the first African American director to win an Academy Award. Williams’ latest film, LIFE ANIMATED, premiered at the 2016 Sundance Film Festival to enormous critical acclaim, and has received countless accolades, including DGA and PGA nominations and a 2017 Academy Award nomination. 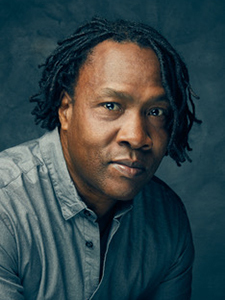 Williams serves on the board of the Tribeca Film Festival, the advisory boards of both the Full Frame and Sundance Film Festivals, and the Board of Governors for the Academy of Motion Pictures Arts and Sciences.